Are you looking for a career path in manufacturing? Training to be a machinist? Want upskilling courses in engineering technology? 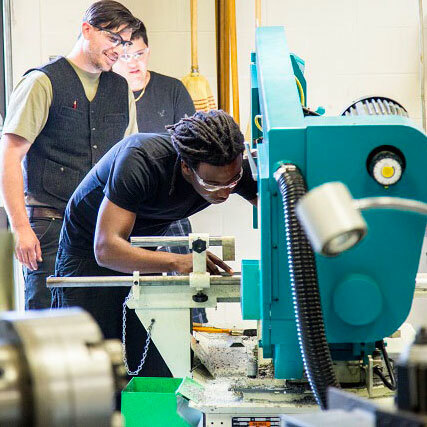 Attend an information session for students interested in exploring the world of manufacturing and learning the fundamentals that will prepare them for an entry level position in manufacturing, or as a precursor to the CNC Operator program. Veterans, women, unemployed, underemployed and other underrepresented groups are especially encouraged to apply. Learn about career opportunities, pathways and programs offered. Start the application process! RSVP online.